Fight childhood cancers and debilitating health conditions in children who are living in developing countries endangered by disease, poverty, war and exploitation, through food and medical programs and health education. We touch the lives of children in positive ways which reflect hope, love and concern at a deeper level than “just” giving out food or medical care. We choose our partners for their abilities to show God’s love in ways that people will respond to. ACHF chooses not to seek USAID grants or financial resources from other government agencies. We rely on the generosity of our donors to continue ACHF’s good works. Humanitarian aid doesn’t “just happen.” It only happens because of individuals like you. Small gifts have tremendous impact, just as the Bible’s story about how five loaves and two fish fed 5,000 people illustrates the tremendous “multiplier effect” of a small amount of food to feed so many. ACHF brings practical relief and hope to children around the world endangered by disease, poverty, abuse, war and natural disaster. Our tangible aid and the gift of hope reaches orphanages, schools, clinics, hospitals and community centers, right down to individual families and street children. Local groups know who needs help and how best to deliver aid; our assistance strengthens these local efforts. ACHF helps fight childhood cancer, diabetes and hunger through medical and food programs and health education. We support efforts to create an environment where children are unconditionally loved…something every child needs. ACHF’s goes far beyond traditional “delivery of aid” to promote pediatric palliative care and hospice in developing countries, helping those families for whom medical attention for their children sadly comes too little or too late. Such tragedies are a sad reality in the overwhelming need everywhere for resources to survive and have hope. ACHF changes lives, one child at a time. 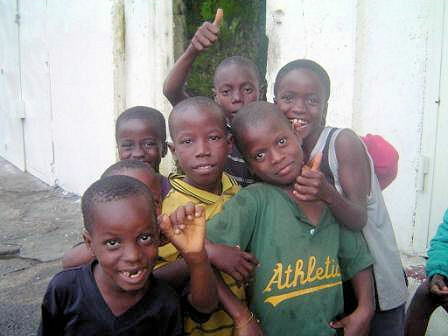 Our beneficiaries are primarily children (including orphans) and their families. We work through local groups that can give a high level of personal care and attention. We call these groups "embraceable communities" because they are small enough for us to get our arms around them and give them the strength needed. Many of those we help suffer from hunger and malnutrition, or they are devastated by other serious illnesses, including cancer, diabetes and HIV-AIDS. Whenever possible, we also give resources to help local efforts to promote health safety and awareness. Our work over the past two decades have help hundreds of thousand of people receive food, medications, surgery and fresh water. ACHF works through local partners, which is why we keep our expenses very low. We develop long term relationships with our project partners, working over time to improve their services and making sure they stay accountable to their communities. From 2015-2017, ACHF has arranged for over $14 million worth of medical supplies, food, and medications to be shipped to 20 countries, with over 140,000 people served. We have also helped our local partners do a better job for the people they serve, through technical and human resource assistance, including project management strategies and resources to help them stay accountable to their communities. For each of the past three years, over 99% of ACHF’s donations went directly to fund supplies and projects for people in need. To keep costs low, we solicit donated supplies and normally only pay procurement, shipping and distribution costs. Why should we spend your money to buy supplies, when we often can get the identical or similar products donated? When we ship commodities, we do not ship junk. Everything is totally safe for human consumption and presented to our recipients in an orderly manner. Our local partners are selected because they can properly use the aid we provide and also report back to us on their activities. Our partner relationships are protected by written agreements which hold them legally responsible in their own communities, and our partners must be able to demonstrate their proven abilities to deliver aid with wisdom, effectiveness and human dignity. ACHF is independently audited every year by certified public accountants and is regulated by several federal agencies and the Attorneys General in every state where we register to solicit funds. Our IRS 990s, Annual Reports and Audited Financial Statements are available online and many of our projects are open for anyone to visit except where privacy and security must be observed. 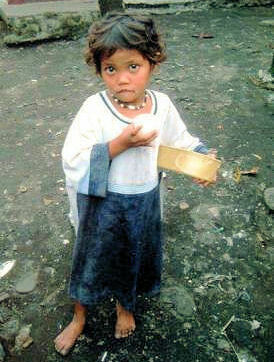 We provide emotional and spiritual support to children endangered by disease, poverty, war and natural disaster. We fight cancer, diabetes and hunger in 9 countries. 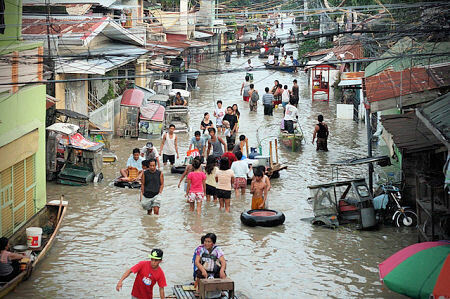 Residents of Hope Center in Laguna (Metro Manila) were safely evacuated after a devastating typhoon. With your donations, we sent $5,000 for immediate relief (blankets, food, medicines and clean water).